Curecoin is a research-based cryptocurrency that is built on top of a system with a net-positive social benefit. 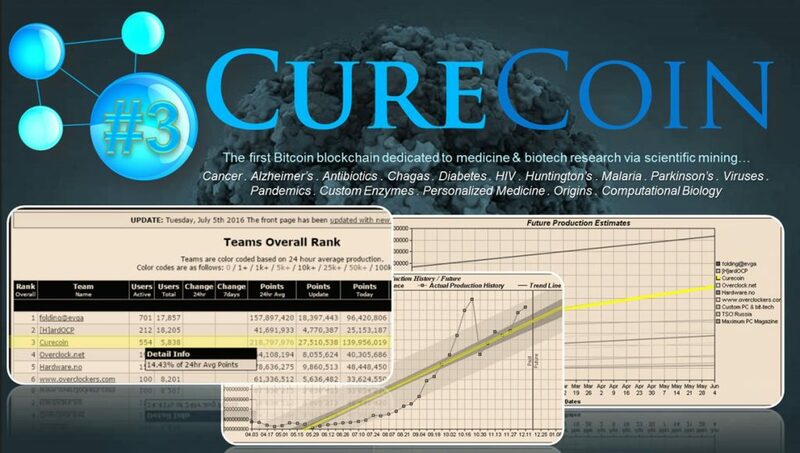 Curecoin’s project is to better society by rewarding members using their CPU/GPU cycles to further medical research. Curecoin currently has 6,699 total participants on the [email protected] network. Curecoin is the largest present contributor to the [email protected] project, significantly impacting research across numerous diseases including various cancers, Alzheimer’s, Parkinson’s, Diabetes, infectious disease and more, with recent research focusing on investigating properties of opiates and antidepressants. See a list of the academic papers produced since Curecoin was launched. The value of Curecoin’s donations through protein folding research to date to Stanford University’s [email protected] project is estimated at $ 6 million (a). The Curecoin Charity Project is a 501(c)3 non-profit, sponsored by Visions Made Viable , and frequently donates to support up to 10 charities: Assisting medical research (protein folding, childhood brain tumors, and antibiotics), US veterans and the homeless, helping fund education and medical clinics in Africa, helping disabled athletes and promoting blood donations and blood transfusion science. These charities include ANTRUK, Bonfils, and Thumbs Up International. 100% of these donated coins were earned via participation in protein folding research. Through April 2017, we have donated approximately $6,000 to these organizations, plus roughly another $9,000 to [email protected], bringing the approximate total donations from CureCoin to $15,000. Curecoin has partnered with Foldingcoin (FLDC), offering more rewards to make it more profitable to fold, thus incentivizing more research. Curecoin is partnered with Coinpayments, a payment processing business allowing people to purchase items and services from up to 175,000 participating businesses using Curecoin and other altcoins. Curecoin is one of the few cryptocurrencies that has a real chance to bring in large numbers of people from the general public into the cryptocurrency world. Huge numbers of people donate regularly to organizations fighting disease. People won’t mind throwing a little money or their idle computational resources at Curecoin when they learn that Curecoin benefits research. For an exchange such as Poloniex, Curecoin could be considered a gateway altcoin for the general public to learn about crypto. Some of those people will eventually try other altcoins as well, and this would increase Poloniex’s user base. The CureCoin Project and CureCoin LLC have accumulated tokens (assets) to fund ongoing development. We also receive Curecoins from the community in donations. This enables us to pay for work in development, support, and outreach. The public also volunteers regularly, and we are expanding our team to include more community effort. Curecoin 2.0 will be the first cryptocurrency to implement quantum-computer-resistant cryptography (Merkle Signatures), and will feature a mini-blockchain which significantly improves scalability and will enable incredibly-lightweight wallets for smartphones. The estimated time to confirm a payment on the 2.0 release will be a few minutes. Merkle Signatures, based on a Merkle Tree of Lamport Signatures (single-use signatures based on selectively revealing portions of a private key which correspond to the bits the signer wants to sign), allow for incredibly quick-to-verify signatures (on the order of 10s of hashes), and unlike ECDSA (used by Bitcoin) are resistant to attacks by quantum computers. Our custom implementation of Merkle Signatures has been publicly available and in testing for over two years, and relies on decades of academic research. The mini-blockchain allows blocks older than a few weeks to be entirely pruned from the blockchain, as a balance sheet is maintained for all addresses in a memory-compact radix tree allowing for constant-time lookups and modifications, and the blockchain enforces the deterministically-produced radix tree’s current state at every block. Curecoin 2.0 APIs will be backward compatible to the current Curecoin 1.x versions, so any re-work in implementing the new release will be minimal for Poloniex and others. After the release of Curecoin 2.0, a new coin, SigmaX, is planned, which will use much of the same code as Curecoin 2.0, but will be mined, and therefore will not allow any individual or institution to unfairly affect mining rewards. Research universities, which issue mining certificates in Curecoin 2.0, won’t exist on the SigmaX network. SigmaX will be awarded partially to Curecoin 2.0 holders according to their balances, and this will occur for a limited time, but at least for one year. Curecoin 1.3.x will see the addition of GPUGrid as its first step into diversifying research to multiple DCN’s, (Distributed Computing Networks) . Other DCN’s have been contacted for collaboration. Curecoin has broken the world records for research speeds of a single research team of all research-based DCNs, (Distributed Computing Networks). Running at over 266 million points per day on the Folding at Home DCN, we’ve brought the computational power to roughly 15 PetaFlops, coming very close to the IBM Titan Supercomputer which runs at (17-19 PetaFlops). Until the announcement by Poloniex of the de-listing recently, Curecoin registered approximately a 100% gain in price vs. Bitcoin, which itself showed over 400% gain vs. USD over the last two years. Combined, this means that Curecoin was up some 800% vs. USD over the 2 ½ year average. Additionally, the current proof-of-stake earnings add approximately 10% more per year to that. (a) The cost of folding produced to date is estimated by the following computations: See http://folding.extremeoverclocking.com/team_list.php?s= for evidence of 90,897,842,020 Folding at Home points to date. The theoretical costs of doing this much computational biology using the most popular HPC cloud services (like Amazon AWS or Google Compute Cloud) for our # 1 team member, Ed Olkkola, equates to about $2600/day (evidence available upon request). Mr. Olkkola produces some 33,765,825 [email protected] average points/day, which is 12.9% of the 262,008,644 points team average per day. His 12.9% goes into the team total of 100% 7.75 times. The Curecoin team theoretical cost is 7.75X$2,600=$20,150/day. When we divide the team 24 hour average of 262,008,644 points/day by the cost of $20,150/day, this equates to a benefit of 13,003 points per dollar spent. Once we divide the total of 90,897,842,020 points to date by the benefit of 13,003 points per dollar spent, we may conclude that the implied cost of computer time donated to date through April 25, 2017 is $6,990,528. Since popular HPC cloud services like Amazon AWS or Google Compute Cloud are retail services, let’s be conservative and cut this value by 15% to get wholesale value. Take the $6,990,528X85%=$5,941,949 value in hard costs of contributed computational power to date. ** This article was contributed by, in alphabetical order by last name: Maxwell Sanchez, Dev Shuster, Joshua Smith, Ivan Tuma, Jake Wiser, Todd Youngblood. “The CureCoin Project” has fiscal sponsorship from Visions Made Viable, a 501(c)3 nonprofit organization (tax ID number: 26-2214003). Fiscal sponsorship means that The CureCoin Project has legal and tax exempt status under a sponsoring organization which has agreed to offer us nonprofit status for donations administration. Our fiscal sponsor is Visions Made Viable, a 501(c)3 non-profit based in California and committed to helping seed projects launch, and many of which “spin-off” to become independent non-profits. Now you can support/donate to the CureCoin Project’s “Private Cloud Folding” systems with tax deductible contributions – 90% of which go directly to supporting computational power towards Protein Folding Research on [email protected] to help scientists study diseases like Cancer, Alzheimer’s, Parkinson’s, HIV and other very serious genetic, viral and bacterial diseases. Thanks to blockchain technology, the resulting CureCoin digital currency, exchange symbol [CURE], will be used to extend the non-profit portion of the CureCoin Project private Cloud Folding systems in our Bay City, MI US facility, in addition to funding our selected charities through Visions Made Viable*. Protein Folding research in our private cloud. Adding Award Winning Research To Your Amazon Order Is Now Free! Donation funds submitted to “CureCoin” must be sent through Visions Made Viable, who manages and oversees our finances according to our budget. See figure and donation information below. *CureCoin digital currency produced via The CureCoin Project’s private Cloud Folding systems will either be converted and re-invested into the Cloud Folding systems, or donated to our sponsored charities through Vision’s Made Viable at The CureCoin Project’s discretion. A quarterly report will be furnished to show how much was received, how many [email protected] computational points (PPD) were generated by the project, and how much was donated to our selected charities. Merged Folding will be utilized to maximize computational output and maximize donations for our selected charities through Visions Made Viable. The non-profit CureCoin Project Private Cloud Folding rack is ready to contribute to research with the help of your generous donations. 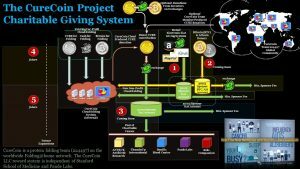 The CureCoin LLC public for-profit Cloud Folding store is currently being re-designed cloudfolding.curecoin.net with an ETA of mid-December for those who want to commission convenient cloud folding to generate their CureCoins. More tax deductible giving options using Bitcoin and Altcoin digital currencies will be deployed through Coinpayments.net in the coming weeks! We’d like to take a moment to send a shout-out to one of our folders. Special thanks to Mr. Ed Olkkola, username “PS3EdOlkkola”, for continuing to help make team Curecoin pump out MASSIVE computational research numbers! At nearly 12 billion points and counting Mr. Olkkola now holds 1st place for individual points earned on the entire [email protected] network – even surpassing all anonymous contributors combined.He continues a friendly competition with another folder going by username “war” however; with 2 data centers and custom systems configured by Ed Olkkola himself, he has managed to prove he’s winning the battle with an average of 31 million points per day! Since all this computational research helps the advancement of medicine, we all become winners in the process. A kind -Thank You- to everyone who contributed to our causes during this round of donations, but a very special acknowledgement goes to our current folding champion, Mr. Ed Olkkola. He has directed our team to process all his coins into donations to charities like ANTRUK, Bonfils Blood Center, Rwanda Dream Medical Clinic, Stanford’s Pande Labs, and others in the name of the CureCoin Team. All his coins are generated thru large-scale contributions of computational power to [email protected]’s search for new medicines (over 20,000,000 [email protected] points per daywhich equates to about 700 CureCoins per day!) Mr. Olkkola’s computing power comes from custom-built servers of his own design, owned and maintained in two data centers; one at Mr. Olkkola’s residence, and the other at his company’s facility. Incredibly the theoretical costs of doing this much computational biology using the most popular HPC cloud services (like Amazon AWS or Google Compute Cloud) equates to about $1700/day OR amazingly over $600,000 per year! Over the years, Mr. Olkkola’s dedication to Stanford’s Pande Labs advancement in the search for new medicines, as well as his charitable giving through CureCoin demonstrates multidimensional levels of philanthropy. This not only inspires members of the [email protected] community, but also those joining us with their laptops for the very first time. 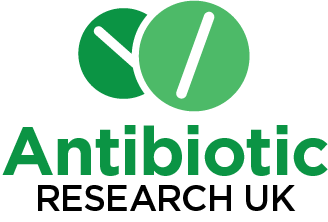 ANTRUK, the world’s first charity tackling antimicrobial resistance, was established by a network of leading UK scientists and clinicians with the mission to educate the public about microbial resistance, promote the discovery and development of new antibiotic therapies, and support those currently living with antibiotic-resistant infections. For over 50 years, the discovery of a new class of antibiotics has evaded the industry and the threat of antimicrobial resistance has ever increased. Recently, the former Goldman Sachs Chief and now UK Commercial Secretary to the Treasury, Lord Jim O’Neill, released his final report, which was part of a two-year Antimicrobial Resistance Review. This report highlighted the enormous need for new business models to fund and incentivise the discovery of new therapies to treat drug-resistant infections. Colorado based Bonfil’s blood and marrow donation centers recently announced a merger with the national Blood Systems, Inc. In this round, donations to Bonfil’s Blood Centers are going towards Everyday Lifesaving Operations and Transfusion Medicine Excellence Research. Donations to “Everyday Lifesaving Operations” provide unrestricted funds that can be allocated when and where they are needed most. General operating support is often utilized to meet unforeseen emergencies, provide timely support for programs and equipment that allow Bonfils to better serve the hundreds of thousands of patients they help annually. Donations to “Transfusion Medicine Excellence” achieve rigorous testing of blood and blood products to ensure safety, maintaining Bonfils’ status as a state-of-the-art blood center – adopting new technologies and staying abreast of the industry’s best practices. * The center will be open to the public, adding important medical bandwidth to Kigali. * Provide modern surgical, postoperative, and rehabilitative care for the people. * A hub for Africa New Life Medical – provide full-time nurses to watch over 7K children. Through this, we not only raise awareness for [email protected], but we also demonstrate how Curecoin can fund charities on a global scale. Special thanks to those who donated to our fund. ThumbsUp! International is a non-profit organization created to connect people across all abilities to conquer athletic challenges together, expanding attitudes about possibilities by embracing life’s challenges. We team able and disabled athletes to maximize their potential. Those of you who follow us may have seen us with Kerry Gruson, co-founder of ThumbsUp International in Miami. We recently noticed that their web page was down, so our founder Joshua Smith coordinated with the very gracious staff at ThumbsUp to get the site www.thumbsupintl.org back up with the ability to accept USD donations (click Support Us). While on the new webpage, we contributed converted CureCoins – with more donations scheduled in the future. Toni Lane Casserly the co-founder of both online bitcoin publication CoinTelegraph and Kids Compassion Charity. In a recent conversation with Toni, we were convinced Kids Compassion is doing great work in Sierra Leone, a country recovering from the recent Ebola epidemic. As a “TLC” and Mustapha Cole project, Musta was inspired to start a charity after realizing how many children lost their entire families to the Ebola crisis. Having lived through and having experienced Ebola first hand, he has seen how hard it is for children who are developing in elementary school ages to maintain stability and focus on the future through this chaos and loss. To rebuild these incredible children, Musta recruited TLC to form Kids Compassion Charity. They have since hand selected a high potential group of kids without families to provide these fertile minds with a home, a sense of belonging and higher moral / traditional education. The July 2016 donation to fund servers at Stanford’s Pande Labs / [email protected] brings the total amount of USD donated to Pande Lab’s to nearly $8,000 since CureCoin’s inception. We will continue to support [email protected] and helping fund Stanford Pande Labs equipment going forward. Great job to all donors making these donations possible! As planned, the donated CureCoin (symbol CURE) plus their associated stake earnings were sold thru Bittrex, Livecoin or Poloniex exchanges. After conversion to USD they have been donated to above causes throughout July, 2016. To get the average exchange rate of CURE to BTC, consult Coingecko. Do you want to understand the costs behind producing this much research on [email protected]? * See our cost estimator spreadsheet from Dec 2015 showing 12 Equipment profiles. …So how does “Protein Folding” help? Although we’d like to take more credit, it’s humbling to be part of a global movement of teams and individuals so committed to Protein Folding research. A lot of work remains on our part to catapult the CureCoin Team to the #1 ranking – although we have managed to reach the #4 spot in under two years – beating out several large corporate-sponsored teams along the way. We envision a combination of corporate and cryptocurrency mining community interest in CureCoin are the keys to accelerating research going forward. Drug design has traditionally been slow, costing 100’s of millions of dollars, and is prone to stalling in Phase II trials. In projects like [email protected], the rewards are long-term. In-silico research is done at the earliest stages of the FDA drug approval process (see figure below). In addition to the study of multiple diseases (both infectious, and proteopathy in which proteins become structurally abnormal), [email protected]’s focus is on researching protein folding dynamics. Since proteins spend up to 96% of folding time “waiting” in various “intermediate conformational states”, there are countless, as yet undiscovered molecular interactions – especially those related to drug design. Despite this setback, the same FAH research continues to be cited by 23 studies – not all related to Alzheimer’s. Starting in 2015 those results are part of an ongoing research project to re-purpose an existing compound (video from ICME Xpo Talk) for use as an Alzheimer’s treatment! Protein folding creates more opportunities in the early phases of drug design as well as enzyme research. As more computational power is added by contributors, the more “super complex systems” (like ion channels) can be explored in ways not possible a decade ago. 129. MDTraj: A Modern Open Library for the Analysis of Molecular Dynamics Trajectories. 128. Heat dissipation guides activation in signaling proteins. 126. United polarizable multipole water model for molecular mechanics simulation. 125. OpenMM: A Hardware Independent Framework for Molecular Simulations. 124. A network of molecular switches controls the activation of the two-component response regulator NtrC. 123. Elucidating Ligand-Modulated Conformational Landscape of GPCRs Using Cloud-Computing Approaches. 122. Variational cross-validation of slow dynamical modes in molecular kinetics. 121. Revised Parameters for the AMOEBA Polarizable Atomic Multipole Water Model. 120. Markov state models provide insights into dynamic modulation of protein function. 119. Cloud computing approaches for prediction of ligand binding poses and pathways. 118. Activation pathway of Src kinase reveals intermediate states as targets for drug design. 117. Statistical model selection for Markov models of biomolecular dynamics. 116. Dynamical Phase Transitions Reveal Amyloid-like States on Protein Folding Landscapes. 115. Describing protein folding via temperature-jump two-dimensional infrared spectroscopy and Markov state models. CureCoin is now available to trade on LiveCoin.net (and trading with our long time partners at Bittrex.net and Poloniex exchanges). Additionally CureCoin is listed on the CoinPayments.net marketplace which gives CureCoin the *potential* to reach a trusted network of over 31,000 registered vendors around the world. As part of the latest Fintech infrastructure, CoinPayments gives buyers and sellers peace-of mind through protected, secured transactions. Register your business to accept CURE today at CoinPayments.net! A special acknowledgement to our top folder – Ed Olkkola, whose massive donations of CURE (generated purely from his folding activities) are helping, or have helped fund donations to ANTRUK, Bonfils.org, Pande Labs, U-foundation Zambia, and the Rwanda Dream Medical Center. We’ve chosen to start converting Ed’s donations on the markets dynamically, so you wont see a large lump-sum of coins in the donation wallets which could impact the market price if they’re sold off too fast. What are the actual costs behind producing this much computational research through [email protected]? Dec 2015 estimates based on 12 Equipment profiles. A new secure bot is back online, and tipping is available. Also, we’ve found some members use bitcointalk and other social media sites for technical support issues. If at all possible, please use our support forum instead. This helps us track tech support issues in one place, and makes them searchable for everyone with similar questions. Where can I spend CureCoins? Everyone is encouraged to promote the usefulness of Curecoins as a means of P2P exchange for goods and services, or as a means to donate to a good cause. Nothing prevents you from asking vendors and service providers you know, if they would consider full or partial payment in CURE. CureCoin converted an additional 280,000 CURE donations into over $2200 USD. A VERY special thanks to our top folder – Ed Olkkola, without whose massive donations of over 260,000 CURE, generated purely from his contributions to protein folding research, we could not have gotten this far. This includes Ed’s generous donations to our experimental crowdfund for Endometriosis Research. Although the fund did not reach the required critical-mass, we learned so much, and we want to continue experimenting with alternative research funding in the future. We helped raised awareness; not only for Folding @ Home, but for the potential of CureCoin to fund new research. Most importantly, we helped put a spotlight on the disease itself, and on the need to help the millions who suffer from its debilitating consequences. Thank you to everyone who viewed our pages and helped us craft a reasonable approach to the research. As planned, the donated Curecoin (symbol CURE) plus their associated stake earnings have been sold thru Bittrex and Livecoin exchanges, as well as thru private sales. After conversion to USD they have been donated to [email protected] in three transactions throughout February, 2016. * Estimate your own costs with our online calculator(beta). * Updating medical clinics to support thousands of villagers from surrounding areas. * HIV/AIDS is a major concern in the area. * Adding to that the threat of Ebola and clinics become not only the central point of treatment but also of education. * Building nurseries to house up to 50 newborns and nursery schools for youngsters. * Refurbishing Middle Schools, providing books, book bags and sports equipment. * Some students walk up to 30km per day to attend school. * Agricultural education – establish teaching farms to help create local, sustainable farming. New projects include Tailoring – teaching students the apparel manufacture process. Through this, we not only raises awareness for [email protected], but demonstrates how Curecoin can fund charities on a global scale as a result. Special thanks to those who donated to our fund. * A hub for Africa New Life Medical – provide full time nurses to watch over 7K children.